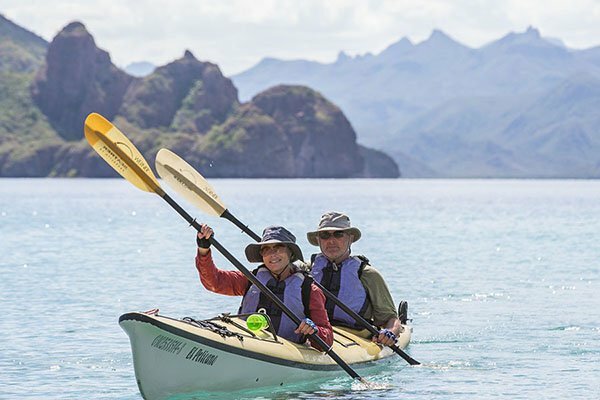 Paddling South’s 6-day trip kayaking through the islands and along the coast of Baja California offers a little of everything. 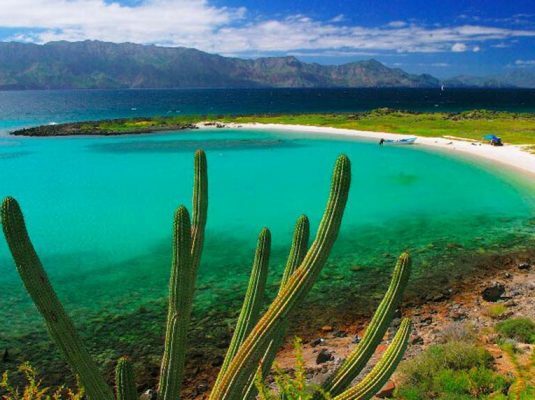 Travelers spend the first half of the trip exploring the isolated islands near Loreto, and miles of pristine wilderness along the coastline. 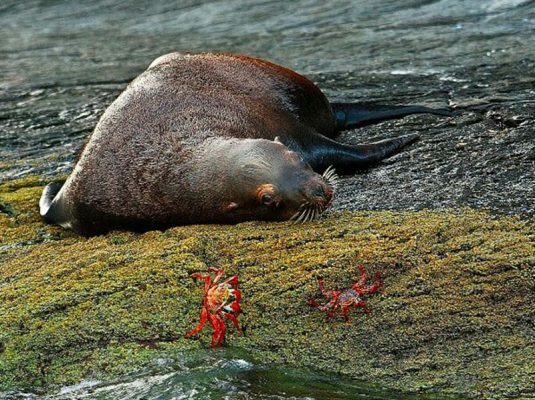 These scenic landscapes are teeming with life above and below the water, and you will have an unprecedented chance to witness the wildlife first-hand. 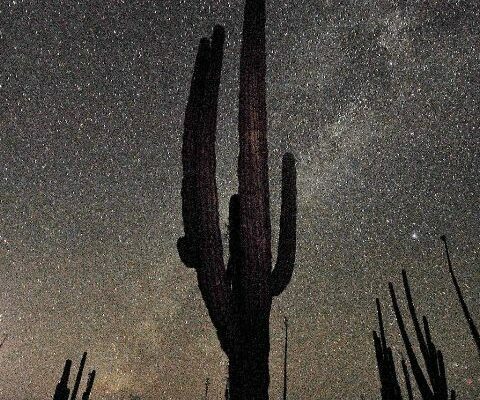 But this isn’t just a wilderness trip—you will have plenty of opportunity to see the realities of life in rural Mexico. 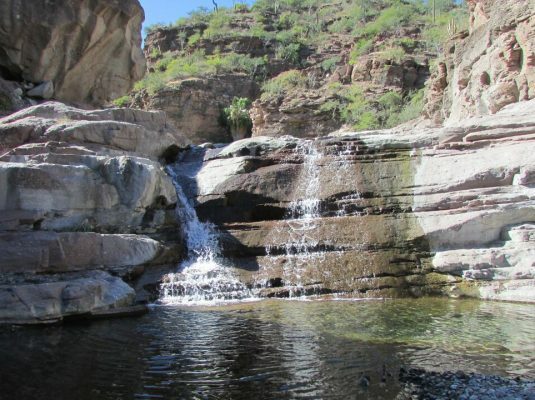 As the trip nears its end, you visit a hot spring, a local ranch, and a small fishing village, offering several glimpses of the “real” Mexico that you don’t get to see at your average tourist location. If you fly into Loreto the day before the trip, we will be there to greet you at the airport and arrange transportation to your waterfront hotel. Let us know if you plan on arriving via some other method of transportation. Once you’re at the hotel, we’ll have an orientation session, in which our guides will explain the trip in more detail, and answer any questions you may have. Afterward, you are free to explore Loreto for a place to get dinner—the guides will be happy to provide some recommendations! Your guides will host you for breakfast this morning in town, where we will go over last minute needs and details. You’ll have your carefully selected trip items selected, and we’ll take any leftover luggage for safe storage while you are out with us. At our launch spot, after loading our gear and food in our boats, your guides will teach you some basics of kayak safety and ecologically-friendly camping. 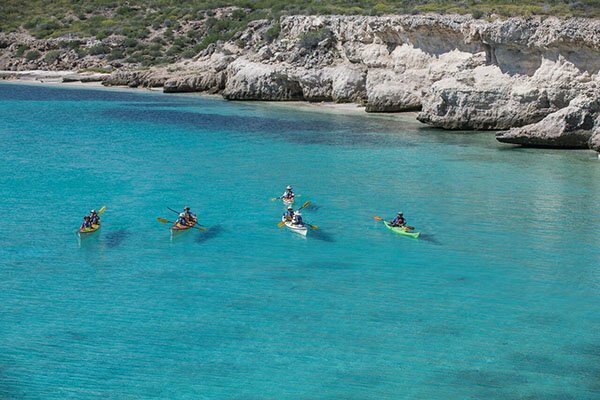 For the first paddle day it’s off to either Isla Danzante or Isla del Carmen, both of which have excellent camps. We provide high-quality tents, but the lack of rain or bugs makes sleeping under the stars an excellent option. There’s time for one early morning paddle into the sunrise, and by mid-morning it’s time to load up and head back. A van arrives at the take-out to bring everyone back to Loreto. A few hours later, you’ll have a taco lunch in the town followed by a much-needed shower in your hotel room. That evening, Paddling South hosts a farewell dinner at one of our favorite restaurants, and everyone celebrates a fun and successful trip together.